The Beginnings... by romance author Elizabeth Reyes: Cover reveal for new book/series "Fate"! Cover reveal for new book/series "Fate"! Here it is folks! I've been talking about it for some time. A spin off series to The Moreno Brothers! Who better to take the lead in the first book of the series? 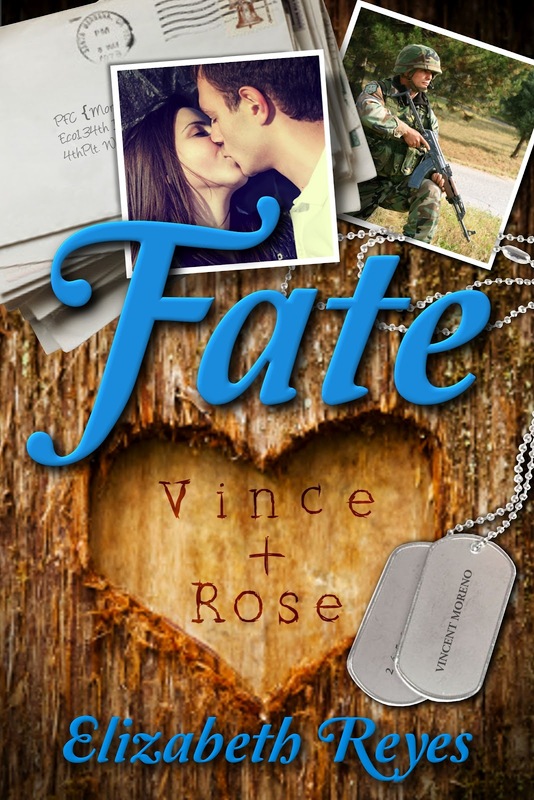 Vince & Rose <3 And here is your first peek of the cover to their story "Fate" <- also the name of the series. No blurb or release date as of yet but it's the next one I'll have out and I'm SO excited about it! Their story has been in my head ever since I finished writing Making You Mine. Heck it was there even before. Hold on to your hats. This will be a bumpy ride and expect to see some of your favorites from the MB series! This series will be a little different from the others as not ALL character will be so intertwined with the others in previous books because we will revisit some old friends like Sydney and Brandon who don't necessarily have much to do with Vince and Lorenzo...uh yeah. I said Lorenzo. ;) But the one thing they will all have in common? The military. Add Fate to your GoodReads "to read" shelf now! Click here to read the very first Fate teaser on my new FB Fan Page NOW! Young Vince. Sorry not sure what his name is but Rowr! 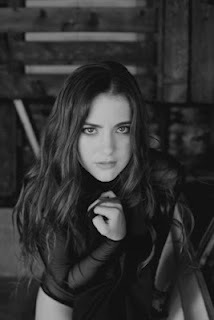 And since we did black and white of Vince here is a black and white for Rose same actress. Very excited! I hope you are too! Share the link to this post anywhere FB, Pinterest, Google+ whatever. Just tag me so that I am aware my Twitter handle is @AuthorElizabeth. 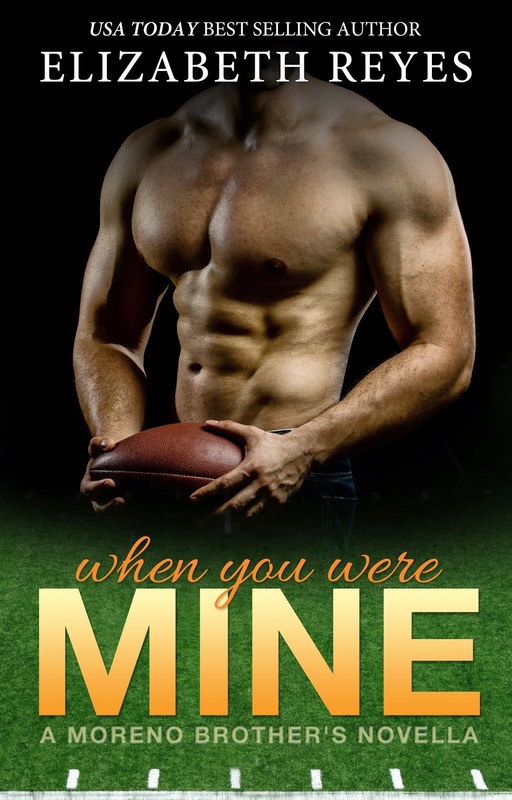 I will pick 3 random posters to win an autographed copy of Forever Mine OR Noah the two first books in my series. Your choice! Contests for other books in the series are on their way! =) Happy posting! I love the final choice for the cover!!! Its perfect!!! So excited for Vince and Rose!!!! Omg I'm so freaking stoked for this book!!! I so need it and Damn Lorenzo cant wait to meet him!!! I have serious butterflies in my stomach! I cannot wait for this series! The cover is absolutely gorgeous. Just the cover makes me want to cry!!!! Ok! Enough exclamation marks!!!! Love it Eli! YOU are a genius!!!!!! Shared on my fb and added to Goodreads. Shared on Twitter, G+ and Facebook. Cover is great! Adding this new series to my wish list and looking forward to reading Vince and Rose's story. Great cover. I love the cover. I added it to my goodreads to read list.Thank you for the giveaway. Just wondering when the teasers where going to start going up? Oh and I noticed you upped the word count for your current WIP...haha I was all worried. I hadn't seen it move for a while. hehe You know I'm like the only crazy one keeping track of that. I'm just so excited! As soon as I get to at LEAST 75% It's ON! ... I'M 100% In my head but it takes longer to get it on paper and all these summer getaways are taking time from my writing!!! Soon as the teens are back in school. It's ON! OMG!!!!!!! I AM SO EXCITED FOR THIS I HAVE BEEN DYING FOR ANOTHER MORENO BOOK!!!!!!!!!!!!!!!!!!!!!!!!!!WOOOOOOOOOOOOO!!!!!!!!!! SOOOOO EXCITED!!!!!! woooohooo!!!!! another book by my fav author cannot wait!!!!!!!!! Wow Maddie! I LOVE the enthusiasm! I'm SO excited too!!! <3 you! I can't wait to get my hands on this new series. I've read all the MB books and the 2 Fifth Street books that are out. Love the cover! Cannot wait for the new series. I've read all your books so far and they are all wonderful. It's nice to see what the characters look like. You mentioned before that you had a list of who would play each character if they were in a movie but I looked throughout your blog and coundn't find it. It would be very interesting to see. Thank you and yes I have a bunch of photo's of dream cast's of my books. A lot of them are on my FB Fan page but I'll have to get a page together on here or maybe Pinterest. I will announce when I do have them up! Busy BUSY summer. And as far as the release date I don't have one yet. Not even an approximate date so I dare not stir the pot by guestimating. I will say it is my hope to have it out this year. But that's as far I'll comment. *Yikes! * I will announce as soon as I know more. I promise! I'm an adult and I love your books! I especially loved your story on your first kiss with your hubby. So sweet! Thank you for keeping us entertained. Love the cover. So happy to see Vince and Rose will get their story. It was sorta dangled at us. I read all of these books in about a week. I LOVE all of them!!! Can't wait for this one!! I can't wait! Everyday I'm checking the process on Fate (: I love all your books......amazing. Are they any previews or samples of the book coming up? Do you plan to make a movie about the mb characters? Win a signed copy of Forever Mine! Win an signed copy of Romero!